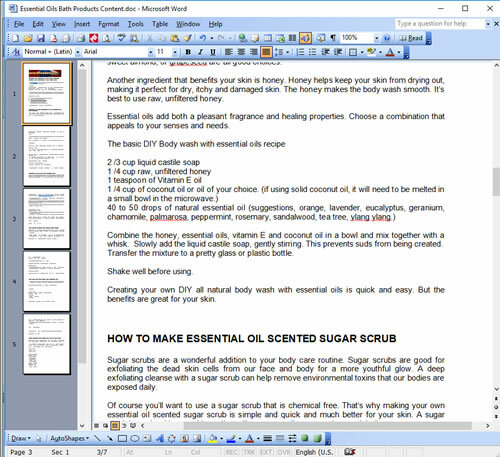 Do you blog about natural remedies, aromatherapy, making homemade bath products, DIY Natural cleaning recipes, and other uses for essential oils? Want to get a jump on your essential oils blogging, ebook creation and more for the spring cleaning season? Happy 2019 from Wordfeeder! I'm Dina and I write essential oils content for you to use in your blog, ebooks, social media posts, online courses and more. If you're in search for done-for-you content, I've got a terrific offer for you to get going on essential oils publishing this spring. 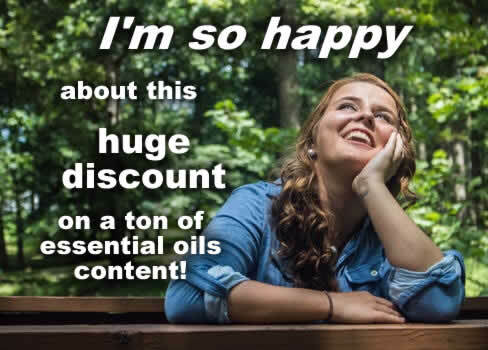 FOR MY LIST ONLY, ENJOY 30% OFF ANY OF THE FOLLOWING PLR packs on essential oils. Want to make money on your blog via the profitable, booming essential oils niche? 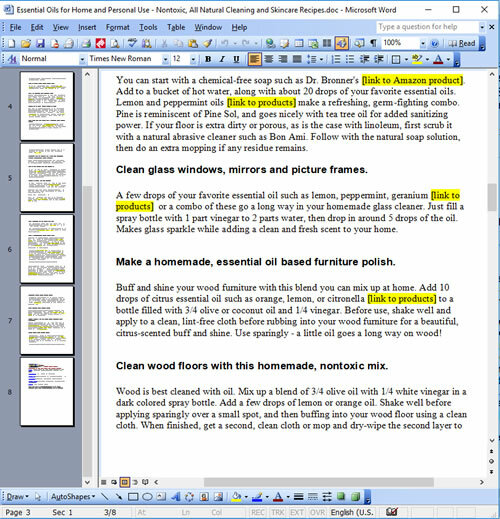 Wordfeeder has some great, original content with private label rights for you to publish along with your Amazon links. 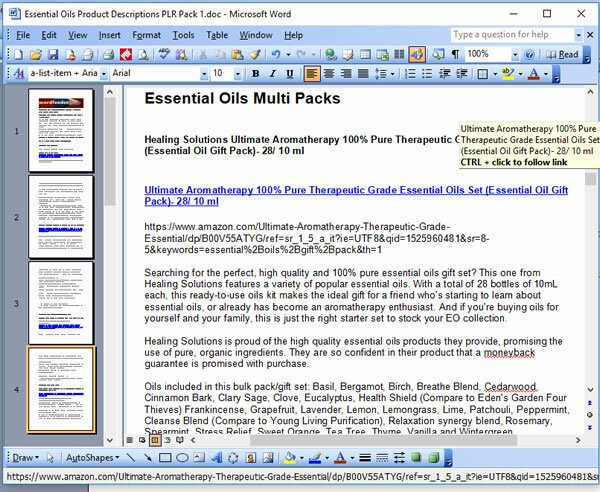 These Amazon EO products were hand-selected, and the descriptive content was uniquely created to paste into blog posts along with the product images and your unique Amazon link. 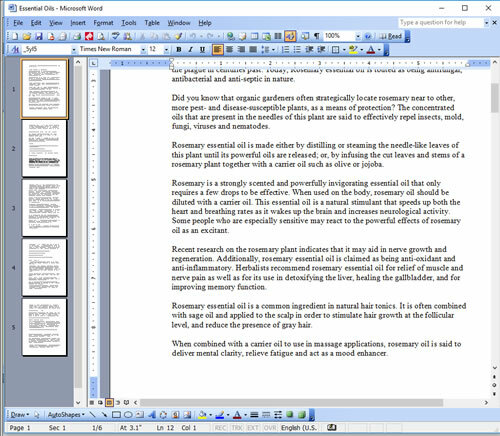 The pack contains 3700+ words, including full descriptions of 2 aromatherapy diffusers, one essential oils variety pack, and 25 individual essential oils. The content can be used alongside of the item links that I recommended. 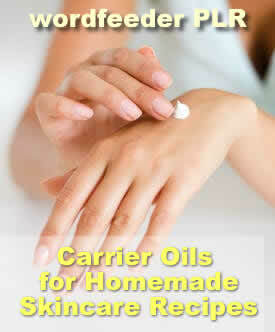 Or, you can use it with your choice of essential oils from your own preferred oils company. Now here's a fun activity if your blog readers are cooped with the kids during the cold winter and early spring which also brings it share of dreary days. 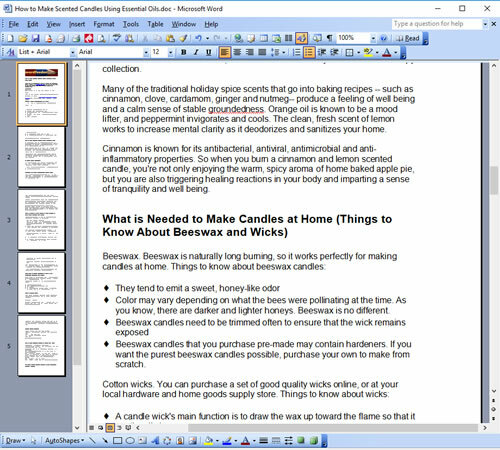 Direct them to these detailed instructions on candle-making at home using just a handful of simple items that they can purchase right on Amazon. These recipes for homemade candles will be perfect for fun, homemade Valentine's Day or Easter Gifts! With Valentine's Day coming up fast, your readers and email subscribers will want to hear about how to make homemade bath products for all those special people on their list. 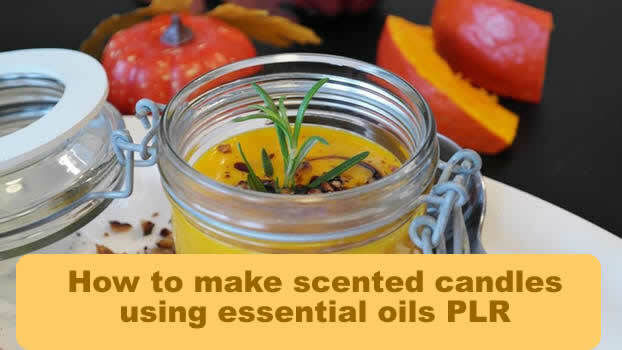 This PLR essential oils content contains recipes, instructions, blends and tips on how to make your own essential oil based bath producst. Perfect for publishing MYO Valentine's Day gift ideas, or for any time of year. Tips for use: offer as a free eBook OR sell the eBook, publish as individual articles, add to an existing e-guide, or offer as a bonus gift with purchase. Don't forget to announce your newly published content on all your favorite social media platforms! Use this content to market to an eager group of health conscious readers who are ready to buy. 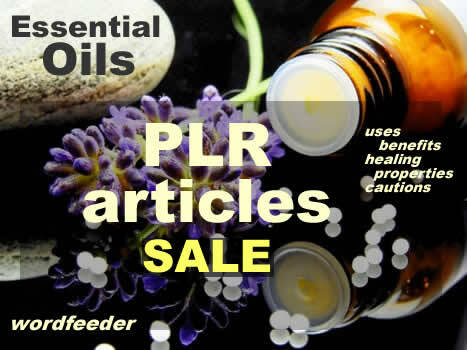 This package of high quality PLR content offers an alluring combo of essential oil blends for relaxation, immune boosting, balancing, energy, and more. 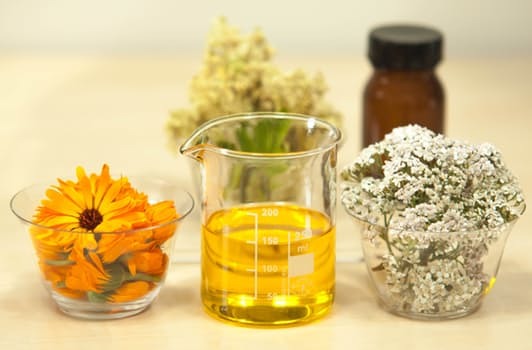 Bonus content covers the most frequently asked questions of readers who are new to using essential oils in aromatherapy, homemade skincare, chemical-free cleaning, and other frequently used applications. 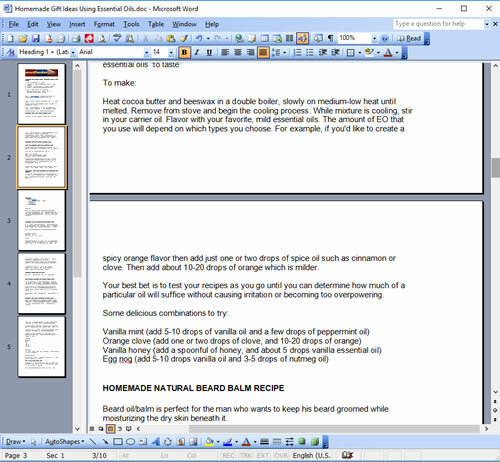 With special instructions on how to blend your own natural perfumes! What is the Thieves oil blend and where can I get it? I can't afford organic essential oils. Are "regular" (non organic essential oils) harmful? 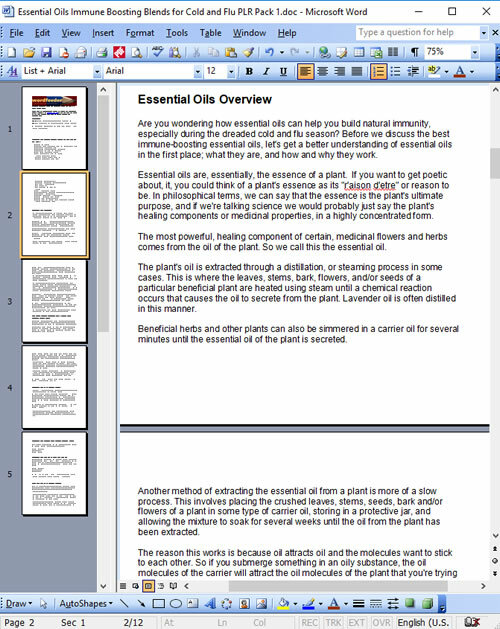 I want to make my own essential oils at home using garden herbs. How do I do that? What are some good shortcuts for mixing my own essential oil blends on the cheap? Can I put essential oils directly on my body? I've heard that some people drink water infused with lemon oil, for its health benefits. Is this true? What's a great, essential-oil based recipe for a cleaning spray? Which essential oils help with insomnia? Should I add peppermint oil to my bath water for a sunburn? Can essential oils harm or burn my skin? Should I put essential oil on the bottoms of my feet, and if so, why? Which essential oils invigorate and stimulate? Which essential oils promote relaxation and restful sleep? 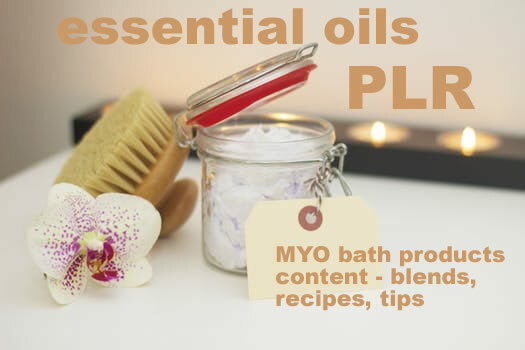 Recipes and Instructions for MYO Skin Care, Bath Products, and Personal Care Products - with private label publishing rights. 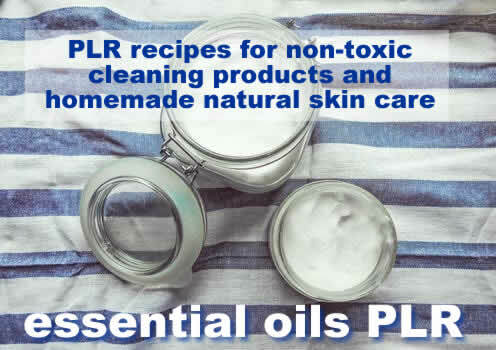 This PLR essential oils content contains recipes, instructions, blends and tips on how to make your own essential oil based skincare recipes, bath products and personal gifts. Perfect for publishing MYO gift ideas for any time of year. Offer Ends After Feb 20, 2019. 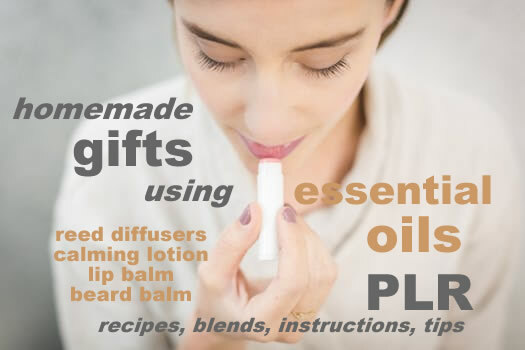 Click BUY NOW to pick and choose from any of the above listed essential oils PLR packs. Enjoy 30% off your order using coupon code goodoils. Good through Feb 21, 2019.